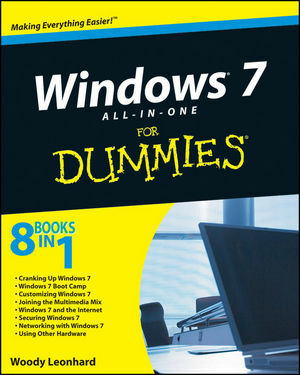 MVP Woody Leonard released Windows 7 All in One for Dummies. This comprehensive book in English features eight complete reference books in one manual. The 888 page book is fully revised and includes all the new features and updates to Windows 7. Woody Leonard is an award winning author and has won eight Computer Press Association awards and two American Business Press awards – more than any other computer book author.